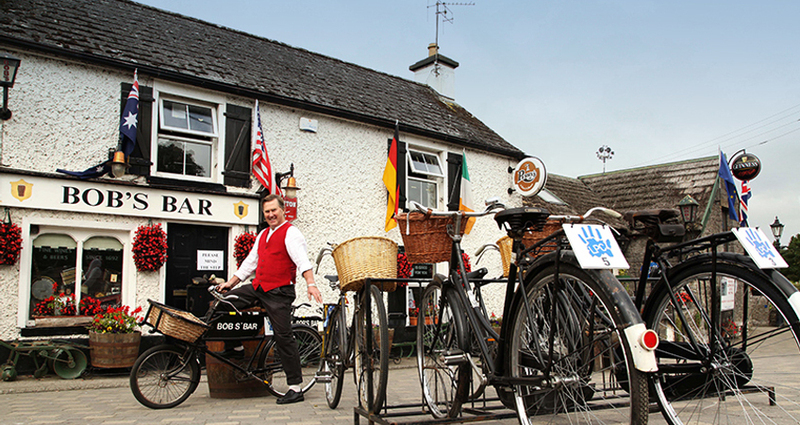 Since 1954, Durrow Carnivals and Festivals have brought high quality entertainment to the people of Durrow and beyond. 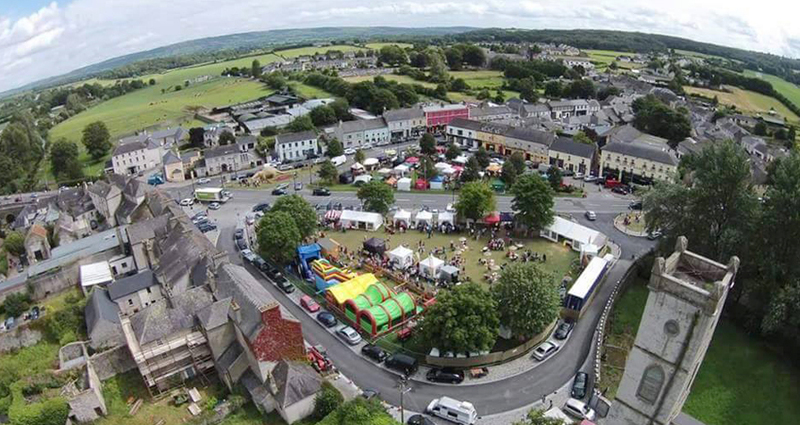 Since its foundation in 1997, Durrow Development Forum has run very successful festivals which have steadily built on the successes of the previous 44 years, whilst bringing entertainment in the area to a new level. 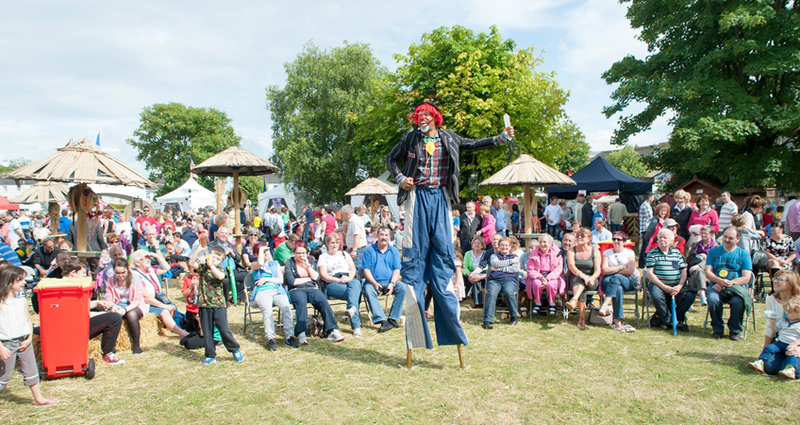 These festivals include The Durrow Carnival, The Irish Festival, The Durrow Arts Festival and The Howya Festival. The inaugural Howya Festival (Ireland’s Festival of Friendships) was held in 2009 and the 2010 event was even more successful. Planning for the 2011 Howya festival included a suggestion from a committee member to include a scarecrow competition. Over 120 Scarecrows were entered into this competition. A survey was completed throughout the festival and the overwhelming result was the fact that the Scarecrows were the main attraction. As a result of this survey, the committee decided to rename their very successful festival the ‘Durrow Scarecrow Festival’ from 2012. From a footfall in 2012 of 11,000 people the festival had risen over the nine day event to in excess of 27,000 and is now the second biggest festival in Laois to the Electric Picnic. The main stay of the festival is that it is a community run festival, and all monies made from the Scarecrow Festival go directly back into the community. 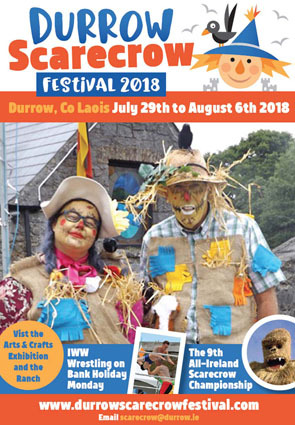 This is what makes the festival so successful, if you see what is happening in your community, you are happy to become involved, community is what Durrow is about and we are more than happy to welcome visitors to come and enjoy what Durrow has to offer over the Scarecrow Festival and all year round! Durrow, beautiful village in the heart of the Midlands is the hidden gem of Ireland’s Ancient East. It has a beauty which is engraved in the hearts of all who live here. 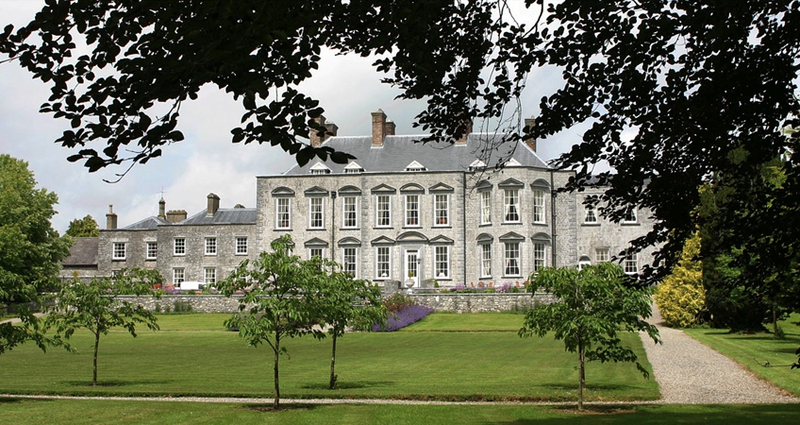 Whilst visiting Durrow, why not take the time to see what the area has to offer and visit the High Nelly Museum (in Bob’s bar) or Castle Durrow Gardens. If you are feeling energetic you can explore the Leafy Loop Walk, the cycle trail or even enjoy some kayaking or fishing. The community playground is a must for children. Spend time in our village, have something to eat in our restaurants or cafes and enjoy our pubs and shops. Durrow is a welcoming, friendly and happy place which will no doubt find a special place in your heart. Nearby Abbeyleix Bog covers an area of 500 acres that is thriving with life from all its flora & fauna. The Fly Fishing and Game Museum in Attanagh and Heywood Gardens are also well worth a visit. Durrow Development Forum in conjunction with Laois County Council are delighted to showcase Phase 1 of our rejuvenated Square Project. The Durrow Scarecrow Festival is a volunteer run event, raising funds for projects to preserve and enhance our village. Confirmation of Phase 11 of our Square rejuvenation has been received and we look forward to welcoming you to Durrow in the coming years!